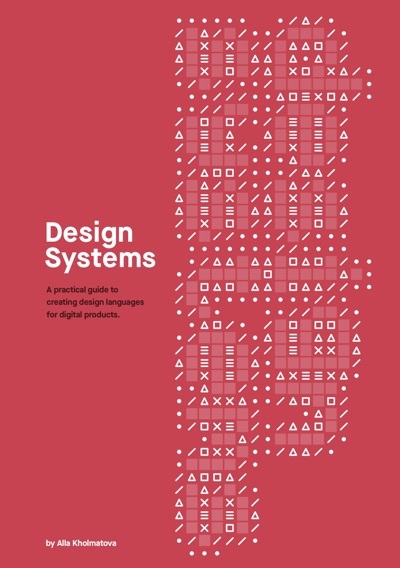 Design Systems—There isn’t a standard definition of “design system” within the web community and people use the term in different ways. In this chapter, we’ll define what a design system is and what it consists of. Design Principles—Solid principles are the foundation for any well-functioning system. In this chapter we’ll discuss the qualities of effective design principles and look at some of the ways of defining them. Functional Patterns—In this chapter we’ll discuss the role of functional patterns and why they should be defined early in the design process. Perceptual Patterns—In this chapter we’ll discuss how perceptual patterns work and their role in a design system. Shared Language—This chapter describes how to establish a shared language, which allows a group of people to create and use patterns cohesively for a particular product. Parameters of Your System—This chapter introduces some of the qualities a design system can have, and the ways in which risks and downsides can be managed. Planning And Practicalities—In this chapter we’ll look at finding support for establishing a design system in your organization, and planning and starting the work. Systemizing Functional Patterns—The exercise in this chapter describes an approach to systemizing functional patterns, starting with a product’s purpose. Systemizing Perceptual Patterns—The exercise in this chapter describes how to conduct an inventory of styles, define perceptual patterns, and integrate them into the system. Pattern Libraries—In this chapter we’ll look at some of the practical techniques to set up a simple, useful, and multidisciplinary pattern library. Alla Kholmatova is a UX and interaction designer with a nine-year experience of working on the web, for a range of products and companies. Most recently she was a senior product designer at an open education platform, FutureLearn. She’s particularly interested in design systems, language, and collaborative ways of working. In the last two years this interest has led her to spend a huge amount of time working on and researching the subject. She’s been sharing her insights with people through articles, workshops, and projects. Alla contributes to design publications, such as A List Apart, and speaks at conferences around the world.